Back when I was designing regularly, I used to host a “Multi-Photo Scrapbook Page” challenge at my then-host’s site. It was a lot of fun for me and I’ve missed it. So now that the holidays are past us, I am sure you have a lot of photos to get scrapped! I would like to have a little challenge here on this blog and on my Facebook Page. 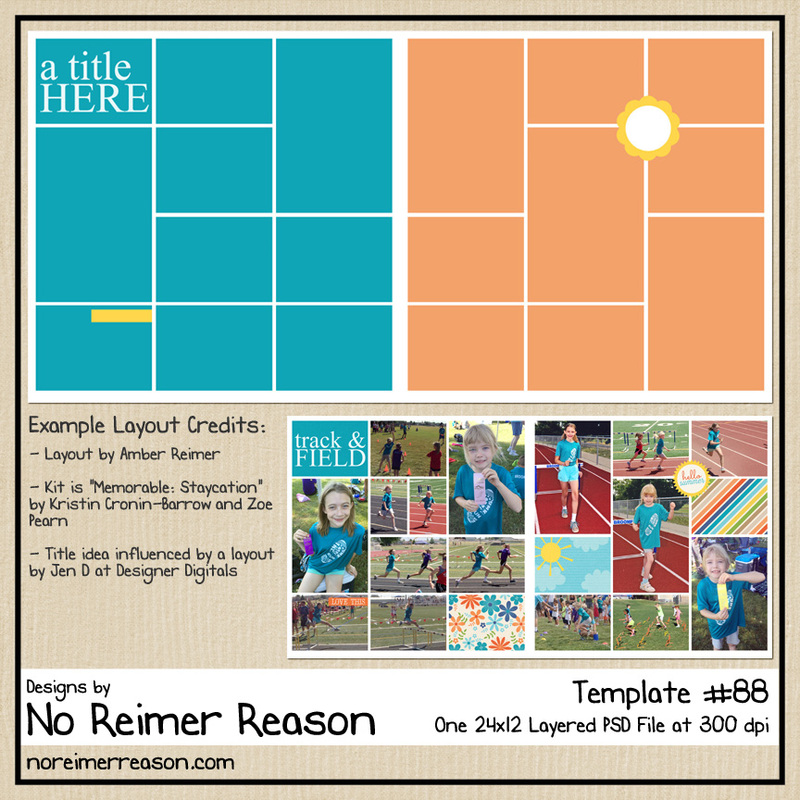 Anyone who participates will receive this new two-page digital scrapbook template for free! 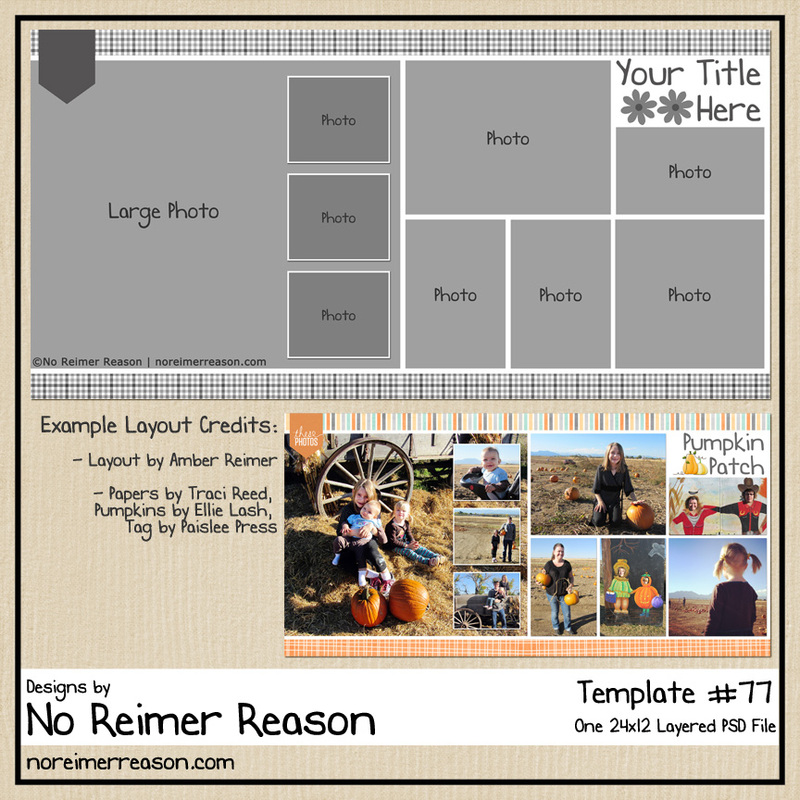 1) Create a NEW scrapbook layout that contains 4 or more photos on one page. Using a template is okay! 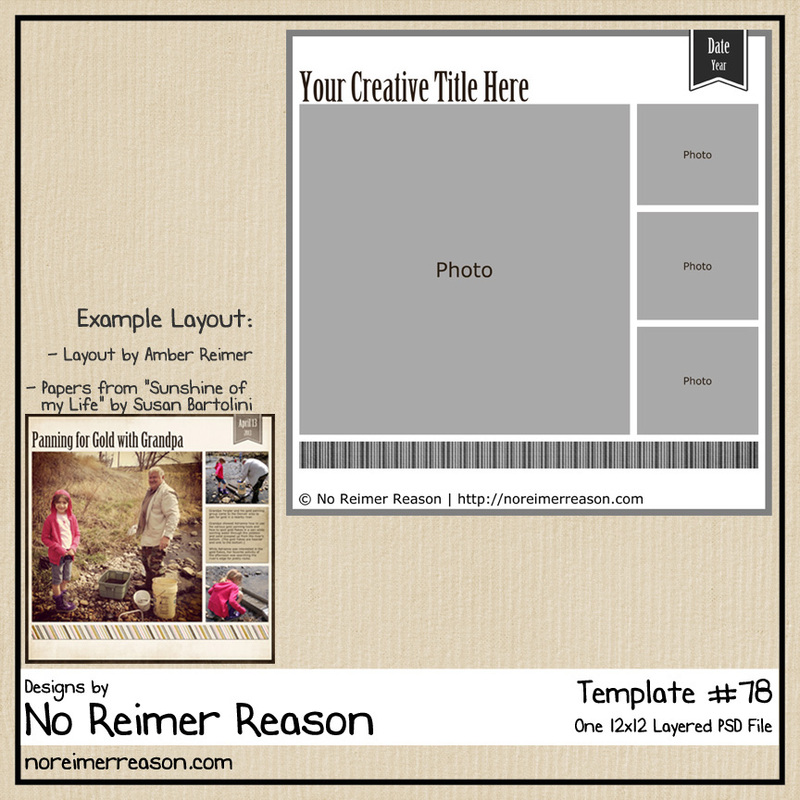 2) Upload a link to your layout to this page OR to my No Reimer Reason – Digital Scrapbooking by February 10, 2016. 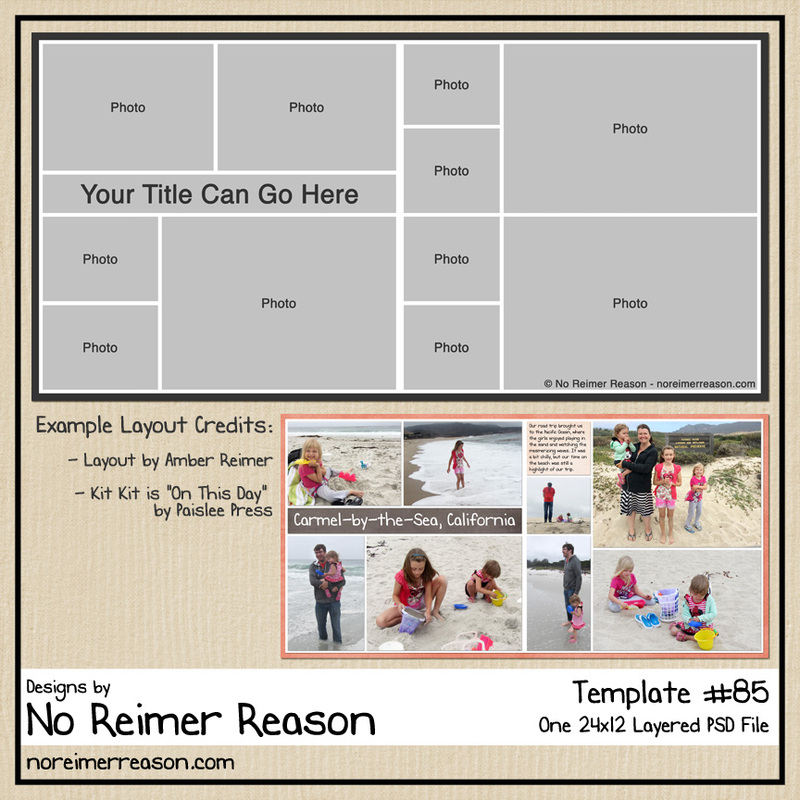 I will email or Facebook PM a link for you to download your free template by February 13th. Happy New Year and Happy Scrapbooking!